Designed by Bobby Weed with input from Fuzzy Zoeller, the 7,223-yard opened for play in November 1991 and was built in the heart of Summerlin, a 22,000-acre planned community on the western-most edge of Las Vegas, it incorporates traditional golf design with the natural desert terrain of the region. As a stadium course, the TPC Summerlin was built to accommodate golfing fans with unrestricted views of tee shots, fairway approaches and putting, by using strategically placed spectator mounds and natural amphitheatres. 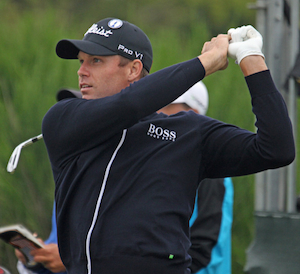 Nick Watney 14/1 has a win and four other Top 10 finishes this year and finished in fourth place on the FedEx Cup table and with most of the Ryder Cup players taking a week off, it could turn out to be win number two for the lad from Sacramento. Robert Garrigus 18/1 had been hovering about the Top 10 a lot so far this year, in fact he has seven Top 10 finishes two of those coming in his last two events and I don’t think its going to be long before Robert adds to his maiden Tour victory at the 2010 Children’s Miracle Network Classic. 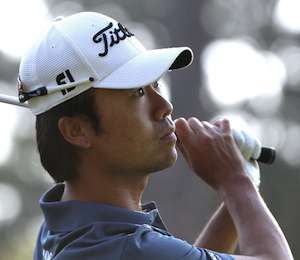 This weeks defending champions is Kevin Na 28/1 and sometimes its hard to ignore a defending champion. Kevin has six Top 10 finishes so far this season, five of which came before June, so hopefully Kevin will get back to that early season form here this week. JB Holmes 50/1 has probably surprised most people with his form this season after his well documented surgery last year and with eight Top 25 finishes so far this season two of those coming in the Top 10, I don’t think its going to be long before JB is challenging once again. Troy Matteson 50/1 has had five Top 25 finishes in his last eight events, three of those coming in the Top 10. It looks like Troy has hit a good run of form and these could be great odds if he manages to keep that trend going. It has been an up and down year for Greg Owen 80/1, he did make the FedEx Cup play-offs, but went out at the Deutsche Bank Championship. Greg has had two Top 10 finishes so far this year and at these odds a couple of pounds on the Englishman may turn out to be a good investment.